The Wild West has found its way to the Eau Claire area! 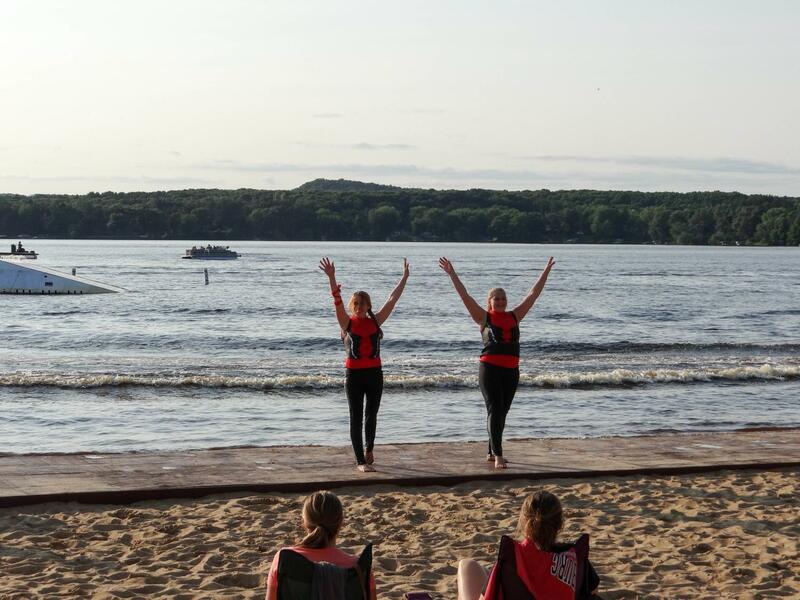 The Ski Sprites are Altoona, Wisconsin’s performing water ski show. The Sprites will rope you in this year with their western poker theme. The fun and daring show for all ages has you coming back week after week. The Ski Sprites have been a volunteer organization since the 1960’s starting with just six skiers. Today, the team consists of approximately 80 members ranging from children and teens to adults. 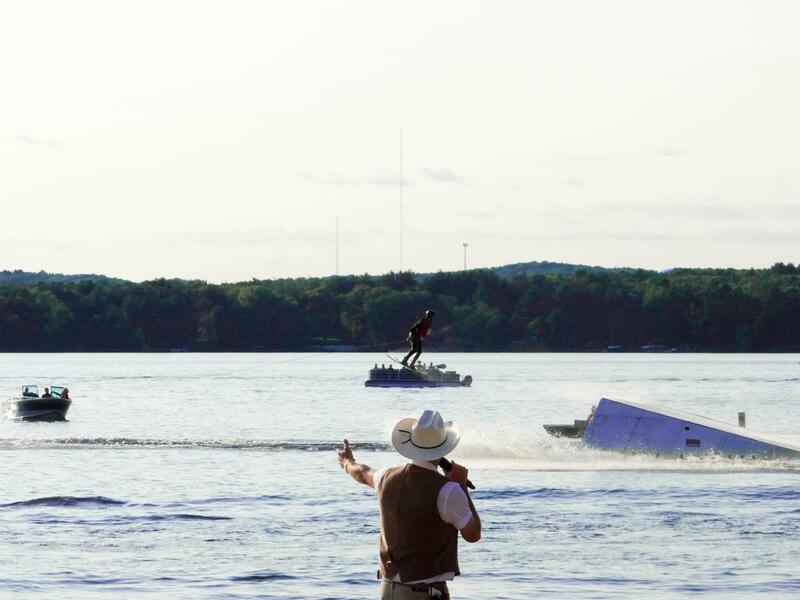 The Ski Sprites began their performances on Eau Claire’s Half Moon Lake and brought out crowds as big as 49,000 people. I know, 49,000 people!?! 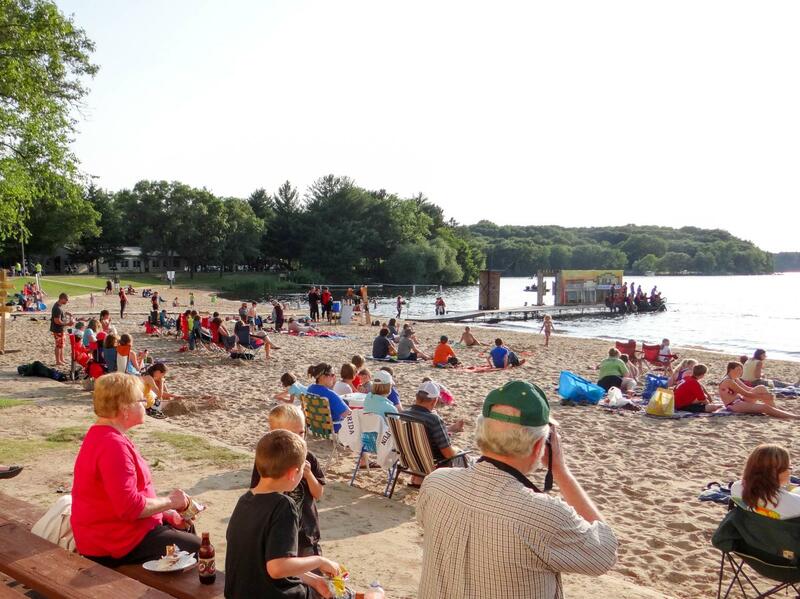 In 2006, the team said goodbye to their home on Half Moon and now perform on Lake Altoona in Altoona, Wisconsin. This summer’s show starts off with two little bandits running off into the sunset with the town’s poker tournament loot. The story of the show follows the townspeople’s extravagant adventures looking for the bandits. I thought to myself, I’ll go see the show once but what more can change? To my surprise no two shows are the same. The Sprites are always learning new routines and crazy stunts that will keep you coming back. Being a first timer to this event, I was unaware of the lawn chair and picnic blanket seating memo; thankfully, there were still open bleachers. But what I did bring that made me look like a regular was sun glasses. Trust me, you will need sunglasses for the start of the show as Mother Nature will bless you with sun beams straight to the eyes. As a college student, money is a touchy subject. To my surprise, however, for just a small $3 parking fee you can go see the Wild West Sprites show every Sunday and Wednesday evening starting at 6:30 p.m. I got to the show at 6:00, thinking I was early, only to find that the beach was already full of people. Pulling into the parking lot, I came across an unattended mailbox and grabbed the parking pay slip. I’m glad to live in a trusting community like the Eau Claire area! I’ve been a fan of action sports for years and watching the maneuvers, flips, pyramids and barefooting action live is nothing short of amazing. Watching the pyramids of skiers stacked three high was especially astonishing since I’ve only ever skied in my dreams. If you are considering becoming a Sprite, I know they’re looking for more participants in future years. What I love the most about The Ski Sprites is the fact that they are entertaining, budget-friendly and inspiring for all ages. 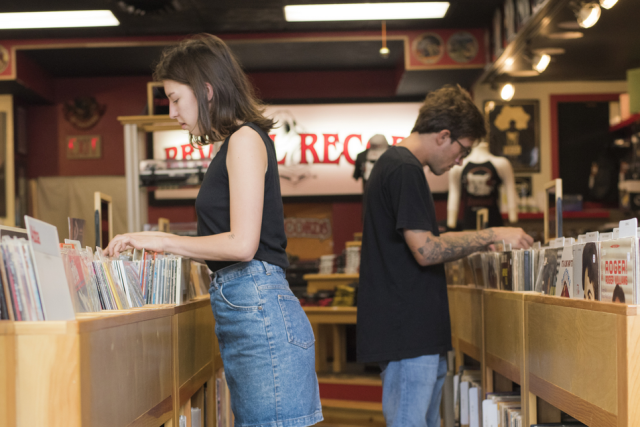 To see people from Eau Claire challenge themselves for the entertainment of their community is easily another reason to come Visit Eau Claire!